Not So Cli-Shéa: Flea Market Monday!! If you know me, or happen to read my "50 Facts About Me" post, you'd know that I love thrift stores and flea markets. I love making something old new again. I love giving life back to something that has been forgotten about or transforming something into something completely different. The third Sunday of every month is the Long Beach Antique Market. I try to go every month. (Side note, the first time I went, I saw Tori Spelling there!) It's something fun and relatively inexpensive (tickets are $6). It's fun to just walk around, even just to people watch (because if there's one thing the freaks flock to, its a flea market, let me tell ya). I definitely recommend getting there early because it's true what they say, the good stuff goes early (and the heat gets to be sometimes unbearable). 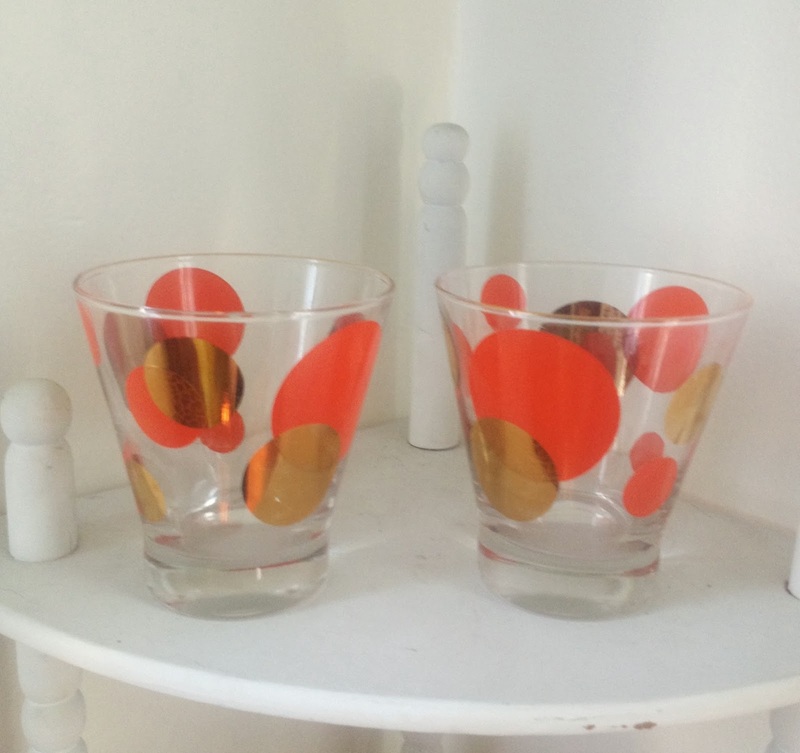 This week all I picked up was these two glasses (which I think I'm going to showcase on my bar). They have adorable orange and gold polka dots all over them. It was $10 for the set. I probably could have got them for less but "haggling" is definitely not on my list of strengths.